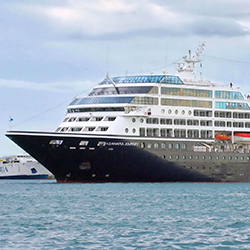 Complimentary, exclusive and unique Virtuoso Voyages event in Helsinki. 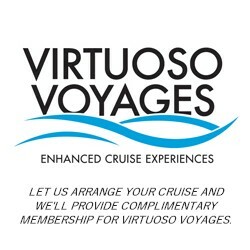 Click on Virtuoso Voyages tab for complete details. Finland is a distinct slice of Scandinavia, and the capital of Helsinki and charming town of Porvoo are the perfect two-part introduction. We'll begin with a drive from the harbor, passing some of Helsinki's iconic landmarks including the waterfront Market Square, the Uspenski Orthodox Cathedral with its golden onion domes, and the neoclassical Presidential Palace. We'll make a brief stop at Senate Square, before continuing on past the sleek Opera House, Finlandia Hall, and the Contemporary Art Museum, Kiasma. We'll then drive on to Porvoo where we'll begin our walking tour. Dating to 1346, Porvoo is the second-oldest town in Finland; we'll walk the cobblestone streets lined with medieval wooden buildings painted in cheery pastel hues, with the folksy 14th-century Porvoo Cathedral as a backdrop. 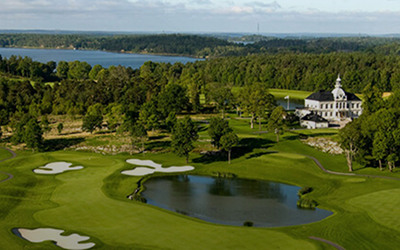 We'll have some time to explore and shop on our own before heading to Nybergs Varpet, a summer villa overlooking the Baltic Sea. We'll enjoy a fresh local lunch featuring toast skagen (a classic open-faced shrimp sandwich), grilled salmon, and berry pie. We'll have time to walk the property on our own, relaxing on the rocky coastline and breathing in the clean air of the Finnish archipelago. On our way back to Helsinki, we'll make one final stop at the Rock Church: this landmark is carved of solid rock and topped with a copper dome. Suggested Attire: Casual wear with comfortable walking shoes. Moderate walking over uneven terrain and some steps. Not suitable for wheelchairs or strollers.